Here’s the scenario: on our worksheet, we want to choose a Country and the corresponding City. We want to limit the countries available to the user as well as the cities that they can choose. For start, we want to choose the country and on the second cell we can only put cities that correspond to that country. It makes sense, right? To start, we have to build our “database”. On a second sheet, I’ve made a list of countries that I want to have available for the user to choose on my validation list and I putted and index number that will correspond to the right cities list. So, for instance, for France, I used the index 2 that will be corresponding to the cities list 2. You will see after how this index number will be used. Now, if you’re using Excel 2010, you can have the “source” lists on a separated sheet but if you’re using Excel 2003 for instance, you can only have the values on a second sheet if you use named ranges. We will use the name ranges so that this cascading validation lists work on both versions. So, the next step is to create the named ranges for our lists. On your Formulas tab, we have the Name Manager button. When you click it, it will open the Name Manager dialog box. Click on the New button to add a new named range and it will open the New Name dialog box. Now we can build our validations lists on our original sheet where we want to select the data from our “database”. With cell B1 selected (where we want to select our country), go to the Data tab and click on Data Validation and choose Data Validation. This will open the Data Validation dialog box. So, what does this formula do? It will start for looking up the value on cell B1 against the values on our countries table and getting the corresponding index that it will use on the CHOOSE() function to get either the 1st, 2nd or 3rd named range. The result will be two cascading or dependent Validation Lists. If we choose country France, we will have on the cities Validation List the cities from France only. This article demonstrates how you can make basic cascading Validation Lists to use on your sheets. You can take this example and use it on your own real life situations. Hi, the easiest way is to use function INDIRECT, in data validation source. 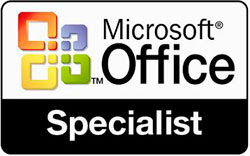 I tried with this option but its useful for only MS Office 2010, it doesn't work in MS Office 2003. Why is it so ? I'm using 2007 and the formula does not work if I put the data in another sheet. I tried transferring to the same sheet but still didn't work. Is it only works for 2010 version? Hi Mr. The formula used in validation doesn't work in excel 2007 because the lookup value refer to another sheet. I modify the lookup formula refer to named range that refer to another sheet. And It's works. Not sure if it works with 2007 version. I've never worked with that version. On 2010 it works fine. Hi JP Pinto, I tried this with Excel 2007 and it didn´t work at first, because like you said we need to name the ranges. So I changed "Sheet3!$A$3:$B$5" for the name I choose and it worked. Thanks for your lessons and tips. I only knew pplware for 2 weeks ago and I find the Sunday rubric very useful. I'll try to send a post one of these days. This will replace the range of cell named with countries. Is there a way to get the city to go back to blank if the country changes, or is removed>? Would you just be able to use an IF statement in the beginning? This is really helpful, I would consider myself a basic user of excel and I've managed to set up a set of cascading lists with three levels, that is also compatible with 2007. I found that when referring to the named Thanks! how you do sumproduct with hose validation lists if they refer to other sheet? We use this strict validation for our reports and data input via excel for our small business software. We need to define variables clearly for it to work. Such a nice post! I like this different content and This is a very good thing. Thank you...!